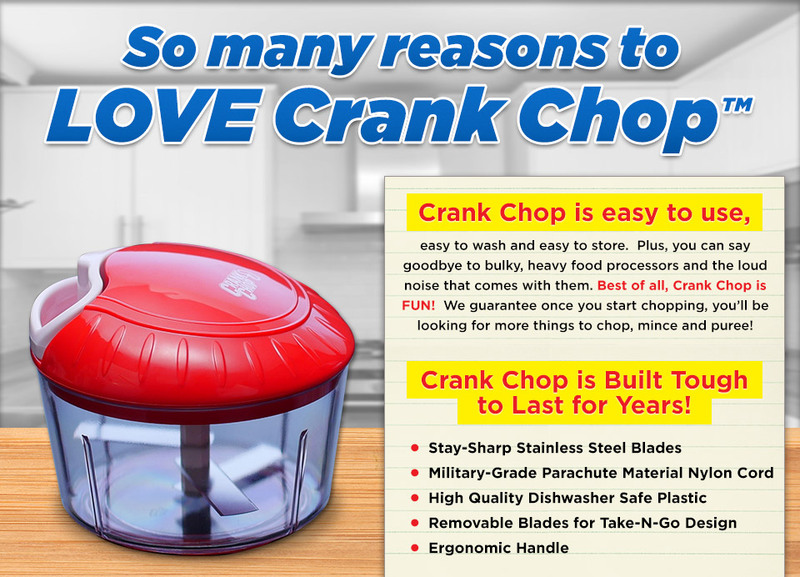 Crank Chop | Chop, Mince and Puree in just seconds! 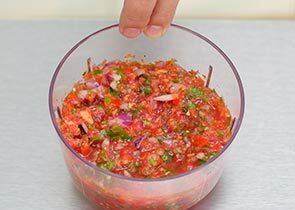 The More You Crank, The Finer The Chop! 3 Enjoy the freshly chopped results! 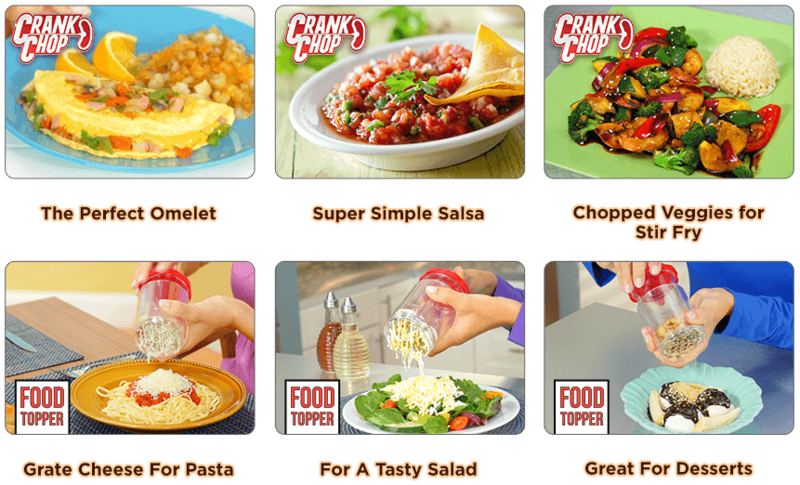 How many Crank Chop with Free Food Topper sets would you like? All prices are in USD and do not include sales tax. 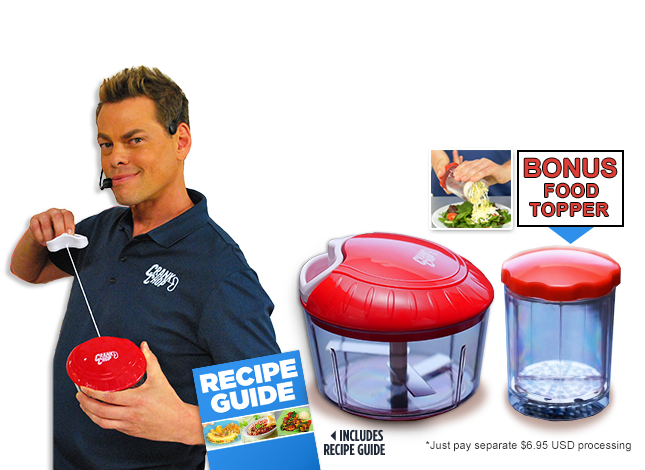 Order today to get your Crank Chop™ for only $19.95 USD + FREE SHIPPING! 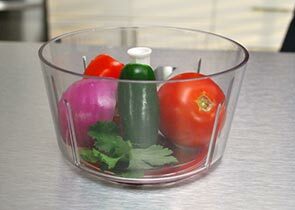 BONUS Food Topper just pay additional $6.95 USD processing. Total does not include any applicable Canadian tax. ©2019 Crank Chop™ All Rights Reserved.